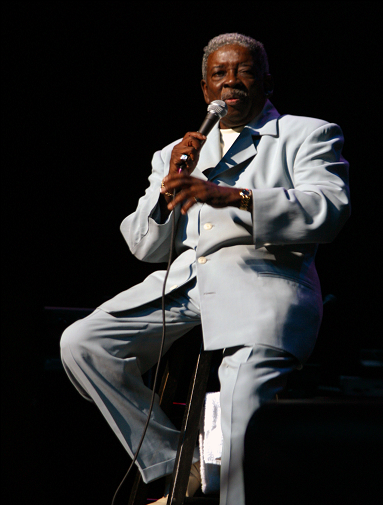 In addition to being a principal member of THE MANHATTANS, Blue is a producer, manager and writer. During his illustrious career he has performed worldwide with hundreds of R&B artists from the 60's into the new millennium. In 1985, he introduced to the music world the soulful talents of Regina Belle. He has written many hit songs including the classic "Kiss And Say Goodbye". Blue states, "there were lots of songs I sat down and composed. I did big arrangements on them--worked on them for a week and nothing happened. A lot of times I heard songs in my sleep but was too tired to get up and struggle into where the piano was. But this particular night, I couldn't just lie there. I heard the melody...everything was there. I got up around 3:00 in the morning and jotted down the things I wanted to say. I just put the words together on my tape recorder and little piano". He believes that everyone can relate to the message of this song; especially if they've experienced the heartache of that one special person...it's the love triangle situation we've all been through. 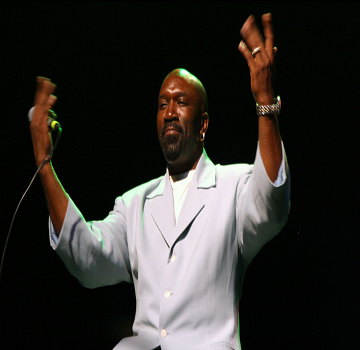 As any R&B enthusiast will attest, the name Gerald Alston has always been synonymous with soul, elegance and sophistication. 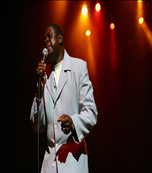 gospel music, Gerald was raised on the gospel music he heard in church and at home (his uncle, Johnny Fields is one of the Five Blind Boys of Alabama). intervened and Gerald left college to join The Manhattans as lead singer. 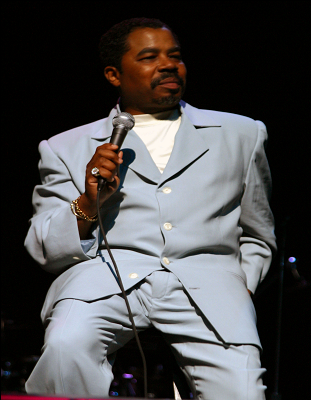 debut album with Motown Records was entitled "Gerald Alston" followed by "Open Invitation" in 1990. His third album in 1992 "Always In The Mood" was a blend of classic R&B songs with 90's music and nuances. his debut album entitled "1st Class Only" which he believes is one of the best albums he recorded. an African-American talent contest later held at that same theater. tenure there, Troy studied music, acting and dance. tour. Blue offered Troy the opportunity to join the group and needless to say, Troy accepted wholeheartedly. Troy co-leads with Gerald on a song in The Manhattans dynamic stage show. In his spare time, Troy enjoys playing pool, listening to jazz, cooking, reading and partying.